The ship was reportedly carrying 60 tons of what's referred to as illegal, unreported and unregulated (IUU) catch off the coast of Korea. The ship uses longlines, a fishing technique that involves a lot of bycatch, especially of seabirds and sharks. Conservationists are now calling for the ship and others in its fleet to be blacklisted from operating. 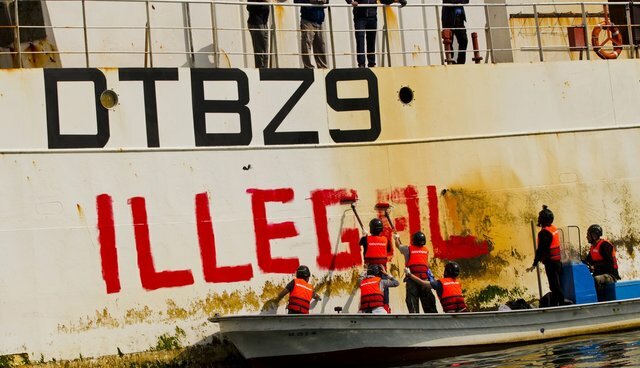 "Our demand was to Ministry of Oceans and Fisheries(MOF) to punish this vessel and company, which has repeatedly committed IUU fishing activities, and ultimately strengthen the distant water fisheries policy of Korea to tackle IUU," Jeonghee Han, Oceans Campaigner of Greenpeace East Asia, told The Dodo. The Insung 3 is owned by the Korean fishing company Insung, Korea's third-largest distant water fishery company. 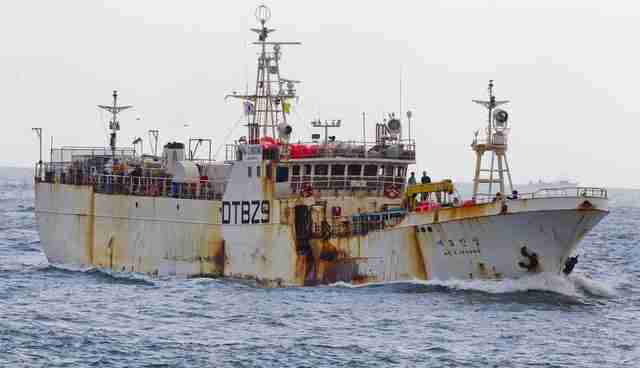 This incident is far from the first for Korea's fishing vessels. The same vessel was caught illegally fishing in Argentine waters last year, and Korea was identified as an IUU nation in Jan. 2013. Over the past year, 34 cases of IUU, non-compliance incidents were recorded. "The naughty kid is back home and the world is watching to see if Korea has the determination or capability to control its own fleet. These IUU cases expose loopholes in existing legislation where the government does not have the legal ground to take further action." said Han. "Insung has repeatedly damaged Korea's international reputation with IUU fishing, and are likely to be allowed to continue their business illegally exploiting the oceans. Insung IUU cases highlight alarming problems with existing legislation."